In February 1947, Lord Mountbatten was appointed the Viceroy of India. However what was unusual from such previous appointments was that the new viceroy was told that he would be the last viceroy of The Jewel in the Crown of the British empire. The British, exhausted because of the World War II, no longer had the wherewithal to administer a restive India. Mountbatten was charged with the transition of the British India to independence. Much is talked about how his (hasty) strategy resulted in massive bloodshed during partition of India, while he is credited with the integration of the princely states into the Indian dominion. 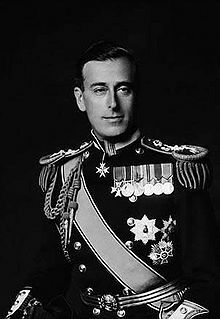 As a follower of history, I still appreciate Mountbatten to have taken a role that required not to continue as a flag-bearer but as someone who would lower the Union Jack in independent India. Low visibility from executives: You do not have the CEO or VP of Sales running down your throat asking for prioritization of what they think is important. Challenging and negotiating with executives strikes fear into the hearts of product managers and marketers more than any other “soft skill” as this article from Pragmatic Marketing says. Use this opportunity to run the product like a true CEO. Migration to a new product of the same company: Sometimes the reason to sunset a product is because of a sister product launched by the same company. In such cases – no stone must be left unturned to make sure that the migration to the new product is simple and painless. Collaboration with the product manager of the new product is essential and one must not get into a competitive mind set. This feature also gives the company an opportunity to ascertain that customers are indeed embracing the new product with the seamless migration available. There are times when customers want to stick on with the “legacy” product even if a “next generation” product is available. In such cases it helps to introspect the real reason why a product was being ended. Learn to do a lot more with a lot less: When a product’s end of life is declared, the resources (human or otherwise) are on a sustenance mode. Although product managers find that uncomfortable, my experience says that this is one reason why you will spend more time on rightly prioritizing things than ever before as you are resource starved and want to do things which are the best bet instead of a set of items which are not just top-most but top. Next time when we as Product Managers say “we manage products from cradle to grave”, let’s say that in letter and spirit. This entry was posted in Product Management on October 2, 2012 by Vivek Vijayan.